The American Revolution Mod, created by the developer: albert287. 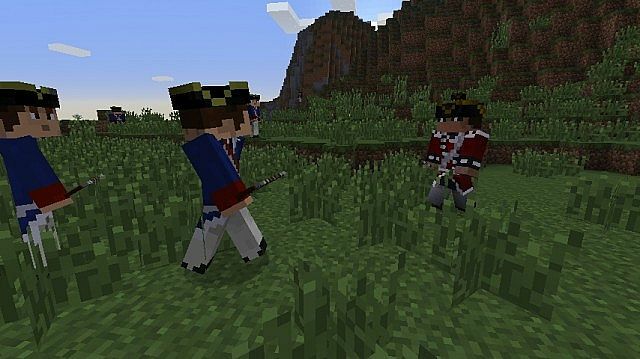 The mod adds many new things to the game including the redcoats and the bluecoats, with added weapons and more. The mod can be installed for the latest patch of Minecraft 1.8, and is also available for client and servers. 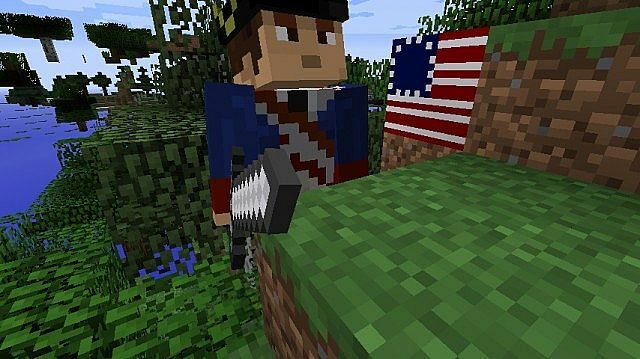 There is no real way to use the American Revolution Mod you first of all need to download it with Minecraft Forge and then you can load up your latest save game. When loading all of the mods features should be automatically enabled. There are currently no video showcases highlighting the features of the American Revolution Mod. British Redcoats that attack with swords. American Soldiers that attack with swords. Two Blocks, the Britain Block and the American Block. Next, download the mod and drag and drop the .zip files to your desktop.